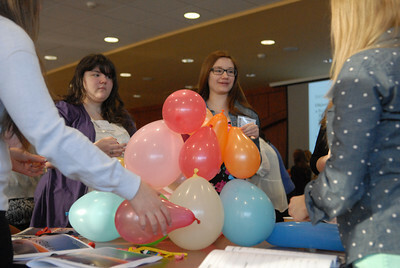 Paige Sherman, 15, left, Shamokin, and Brooke Miller, 16, Williams Valley, work together with their group on building a balloon tower as part of a Young Women's Futures Symposium on Tuesday at Bucknell University. 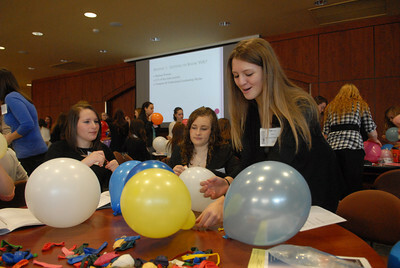 Kyrsten Miller, 17, left, works with Angela Treas, Geisinger Medical Center, Chloe Auman, 16, Lewisburg, and Kate Alexander, Muncy, to build a balloon tower during a Young Women's Futures Symposium on Tuesday morning at Bucknell University. 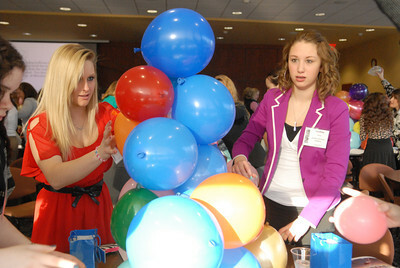 Emily McDevitt, 15, left, Shamokin, and Megan Lawton, 16, Lewisburg, blow up balloons to build a tower with on Tuesday morning at Bucknell Univeristy during a Young Women's Futures Symposium. 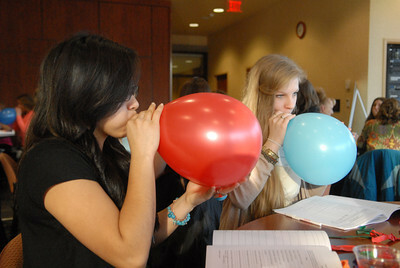 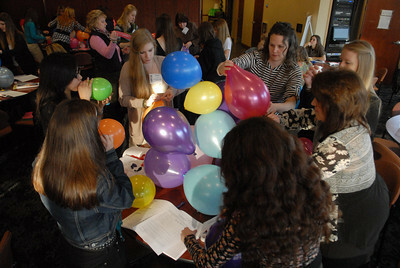 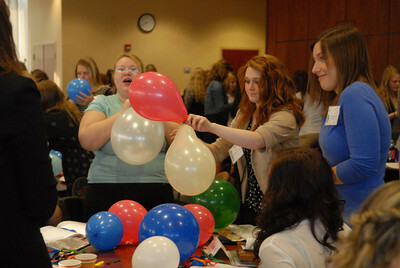 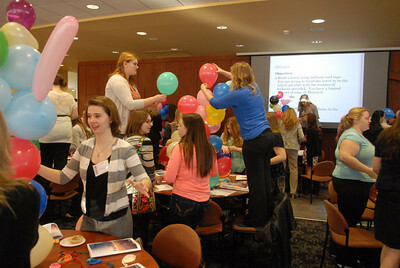 Female high school students and their mentors work together on building balloon towers as part of an exercise during a Young Women's Futures Symposium on Tuesday at Bucknell University.